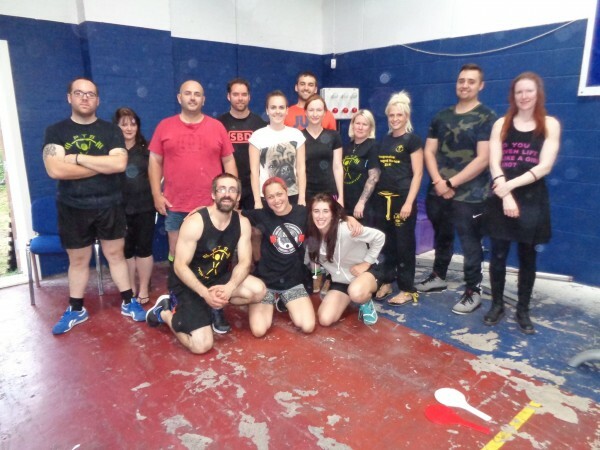 This is the second year we’ve taken a crew of new and novice lifters to Physique Fitness in Birmingham for the West Midlands Development Powerlifting Competition, and it was a great day! 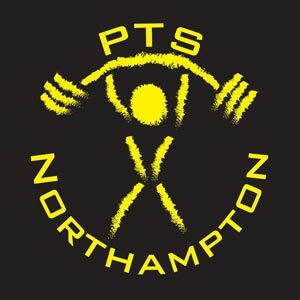 Sal Williams was competing for the second time and scored a PB squat of 52.5kg, a bench press of 32.5kg and a PB deadlift of 85kg for a PB total of 170kg! Well done Sal! Rowan Smith was competing for the first time and scored a 75kg squat, a 52.5kg bench press and a 100kg deadlift. Scores to beat for next time! Chris Barnes was competing for the first time and got some PB lifts in with a PB squat of 135kg (and was too powerful for the 145kg, so plenty more to come! ), a bench press of 90kg and a big PB deadlift of 200kg! Steph Keay had her first competition and got a PB squat of 60kg, a bench press of 45kg and a PB deadlift of 80kg! Rob Galvin was in his first competition, and has an unusual angle on the sport; we were using the weight classes as an aim for his weightloss journey! He started the year weighing well over 120kg, so entering the 105kg weight class (and making the weight with room to spare!) is a massive success for Rob! Rob squatted 100kg, bench pressed 80kg and deadlifted 110kg! We’ve set Rob the goal of competing again in November but this time in the 93kg class, AND he has to beat all his current competition lifts! Let’s see if he can do it! James Avery had his first competition and got a PB squat of 130kg, a PB bench press of 105kg and a PB deadlift of 155kg! Hat trick! Phoebe Coleman had her first competition and scored a 62.5kg squat, a 37.5kg bench press and a PB deadlift of 85kg! Lee Betteridge had his second competition and got a squat of 185kg, a PB bench press of 137.5kg and PB deadlift of 237.5kg for a nice PB total! Finally we had a whole family competing together with Jill Bowers and Sophie Donnelly in their first competition and Anthony Donnelly in his second! Jill got a 77.5kg squat, a 47.5kg bench press and a 90kg deadlift, Sophie got a 55kg squat, a 35kg bench press and a 80kg PB deadlift and Anthony got a 170kg PB squat, a 90kg bench press and a 165kg deadlift! Well done everyone! A fantastic competition and day out! We’ve had great success bringing up novice lifters into the sport and competitions like these are an important part of that process, so we will continue to support the great people involved in days like this! Here is the video of everybody’s lifts from the day, enjoy!